One of the hit games of the past several months has been CGE's Codenames. Well, now a new version of the game, designed with a more adult player base is coming to Gen Con and then exclusively to Target stores. 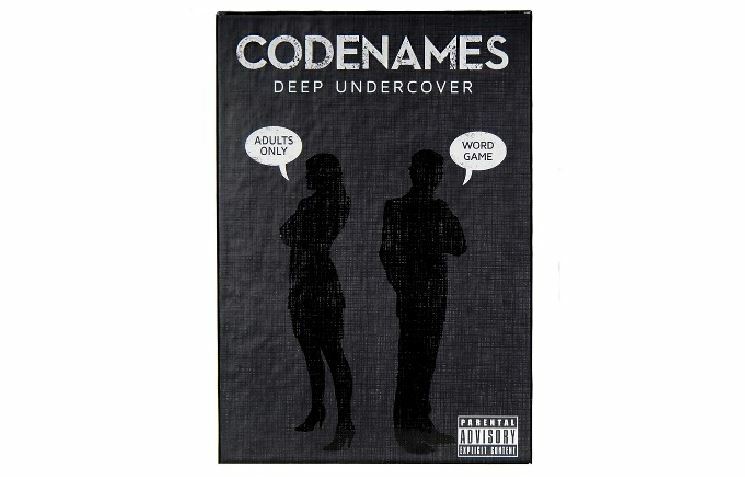 While the original Codenames won the award for Best Family Game (among others) at Origins, Deep Undercover adds in new words, "by-standers," and artwork. The core mechanics remain the same, as the spymaster is looking to pass along a key card, using a one-word clue and a number so their fellow spies can figure out what actual card they mean. But there's a bit more of a mature twist on things. “We anticipate a strong reception for Codenames: Deep Undercover. This is a colorful twist on a great game.” Joshua Githens, Czech Game Editions North American Sales Director. As I mentioned, the game will debut at Gen Con and will later be sold exclusively at Target stores as well as on Target's website.